Watches require meticulous crafting. They are a compromise between art and mechanical engineering. The precision needed to make each component accounts for a large part of the watch's cost. High-end watches command prices in six or seven figures. Even allowing for a premium commanded by a fashionable designer name and the cost of advertising and reputation, a judicious use of high-tech materials can produce a watch that is both top quality and a reasonable price. Titanium is a material that may accomplish this feat. 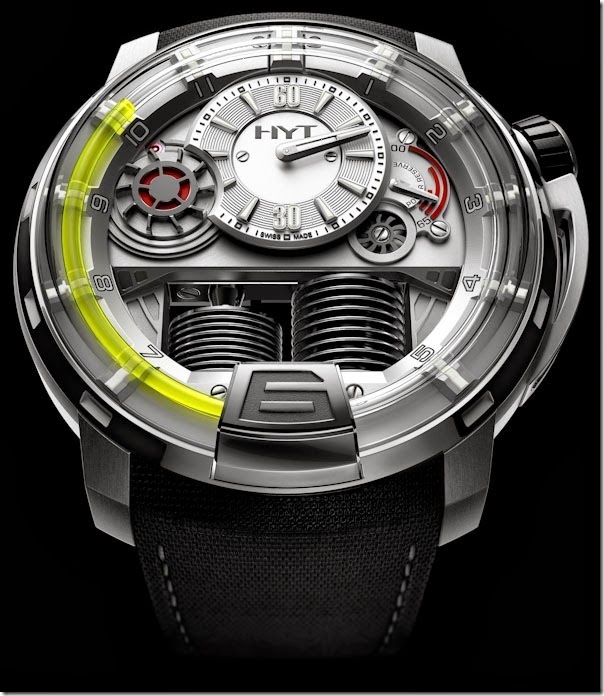 The balance spring is the most important part of the watch. For stainless steel suppliers, this was an ideal market as early balance springs were made of steel. But friction and heat generation between components occurs in watches with prolonged use and the spring weakens over time. So new alloys such as nickel and chromium-based Elinvar and cobalt-based Nivarox had to be fabricated for low coefficients of thermal expansion and non-magnetic properties. Stainless steel suppliers also provided the materials for watch gears and pinions, although brass has also been used. However, titanium suppliers now have a have a growing watch market with the titanium alloy Ti-6Al4V. A form of titanium also used in dental and orthopaedic implants, it is an alloy that consists of six per cent aluminium and four percent vanadium. It has a high strength and superb thermal and mechanical properties. The real innovation in using Ti-6Al4V for watch parts is to build up each component from a titanium powder. Conventionally, titanium suppliers such as Dynamic Metals manufactured ingots of the metal alloy. Watchmakers would strip away material from the ingot to create parts. Much of the metal would be wasted. The powder bed technology works by using a laser to melt the metal powder from the bottom up in layers, like creating an object in 3D printing. This technique can create an endless number of small parts without any waste. Only the particle size of the powders sets a lower limit to the part size. Cold spray technology is another method of producing precise watch parts. This uses titanium powder particles accelerated to high velocities in a gas jet at supersonic speed but at temperatures below the metal's melting point. The high-pressure impact on a surface enables a quick bonding with a substrate and thick layers of metal to be built up rapidly. This produces watch parts with a very good surface finish. This will be the future technology for creating high-quality titanium parts for watches at a reasonable cost. The cold spray method in particular is fast and will reduce production lead times. Both the melted powder bed and the cold spray technology eliminate techniques to harden watch parts after manufacture, such as age hardening or annealing. These are also energy-efficient methods. Leftover material from ingots has to be collected and recycled. The titanium recycling process consumes substantial amounts of energy. The only limitation to the new technology is that the small parts still have to be manufactured by hand to achieve a high level of precision. But there is a good opportunity here for future technological innovation.